Chiron was the only wise, gentle and civilized among the frightful Centaurs, renowned for guiding and blessing pupils with his wisdom. He was a son of the titan Cronus and was living on the wooden slopes of Mount Pelion in Central Greece. 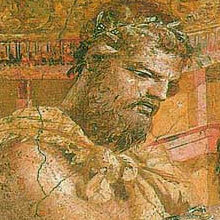 Chiron was the Centaur who gave the great knowledge of medicine to Asclepius, the Greek god of healing. 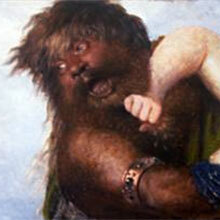 Among his pupils were also famous Greek heroes like Achilles, Jason and Theseus.